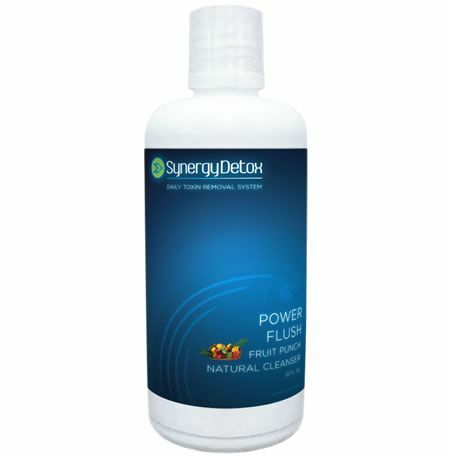 The Synergy Detox Power Flush detoxification system is a detox drink designed to temporarily reduce toxin levels in your urine so they fall below detectable levels in a laboratory urine drug test. Designed for the moderate user (2-4 times time per week) with body weight under 190 lbs, or heavy user (5+ times per week) under 160 lbs. If your weight is over 190 lbs., please use our Max Cleanse product. The Power Flush temporary detoxification system gives you up to a 5-hour window to pass a urine drug test. Temporary detoxification with Power Flush is achieved by drinking the 32.oz bottle over a period on one hour. Included are three home urine test kits of your choice so you can test yourself after completion of the system to ensure you are clean. Power Flush is a potent but safe blend of botanical diuretics and essential nutrients that effectively detoxify your urine on a temporary basis. Power Flush is ideal for people who are moderate users (2-4 times per week) with a body weight under 190 lbs. It's also ideal for heavy users (5 times or more per week) under 160 lbs. If you are over 190 lbs. please use the Max Cleanse Temporary System. Heavy users with a body weight of more than 190 lbs should use the Max Cleanse detoxification system. Synergy Detox Systems is a cleansing system and not a masking formula. You pass the urine test because our system clears your urinary tract of toxins, not because the toxins are masked or the test results altered with the help of foreign additives. The Power Flush temporary formula has been tested thousands of times with passing results. It's undoubtedly the healthiest and most powerful way to temporarily flush out toxins from your system in order to pass a urine drug test.